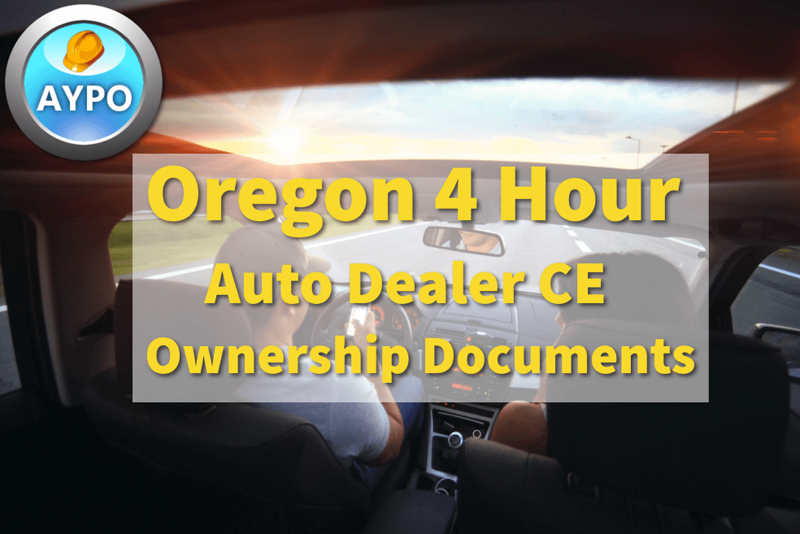 This course is approved to satisfy 4 hours (1 year) of your Oregon Auto Dealer continuing education requirements. This information does not relate to my RV trailer sales company very much. I don't sell automobiles.